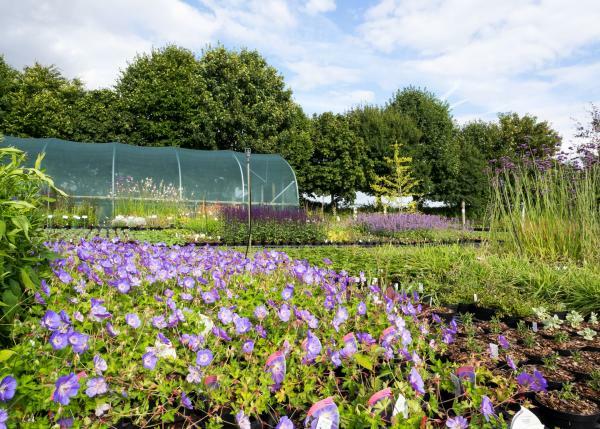 Throughout the growing season we welcome groups of between 20 and 53 people to our Hampshire based, family run nursery. Booking is essential and we advise booking well in advance! Our tours are available from the beginning of March until the end of October BUT there are times in our calendar when we are too busy preparing for flower shows to squeeze tours into our day. 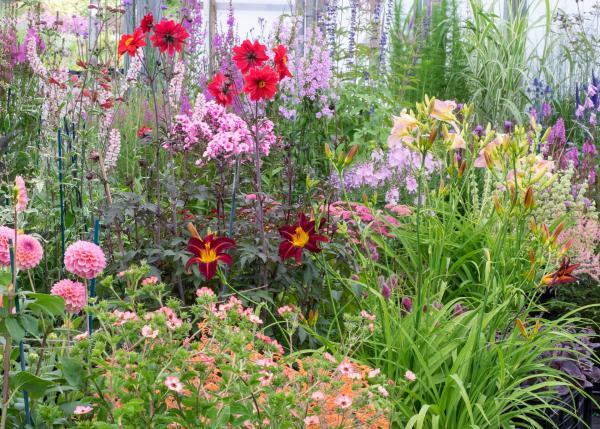 Herbaceous perennials are of course seasonal and the time of year at which you visit will determine how much flower colour there is on show. Your group will be given a tour of the nursery starting with our propagation house, where Rosy (or if she is unavailable, your guide for the tour) will talk about cuttings, seed germination, mist units and more.... before moving on to discuss stock plants and how we use OR conversely don’t use our polythene tunnels to protect and grow our perennials throughout the year. Then it’s off to the potting shed to discuss growing media (compost) and to take a look at our potting machine in action before you head off to the nursery shop.. Rosy will be happy to answer any questions you or your group may have at any point during the tour. The tour takes approx. 45 mins to 1 hour depending upon how many questions people ask and includes time for tea, coffee and biscuits plus the opportunity for a comfort break. We would suggest you allow your group an additional 30 minutes to explore the Nursery Shop. We are not a Garden Centre and do not have a tearoom or lunch facilities on-site BUT we are happy to supply tea, coffee and biscuits either when your group arrives or after the tour - this normally depends upon how far you have travelled. We have some good local pubs for lunches please ask if you would like more information on these or other local attractions. The areas you will be shown around have uneven surfaces. There is a small flight of steps to go up at the end of our propagation house. Your group will be standing throughout the tour. If it is a hot day we will make sure that there is a supply of bottled drinking water (free of charge) If at any time during the tour you feel too hot please let the guide know. Of course if it is a hot day we will keep the time spent in the tunnels to a minimum and talk to your group in the coolest location. There will be a tea/coffee break with biscuits - if a member of your group suffers from any food related intolerances or allergies please could you let us know in advance and we will try and accommodate your needs. We have a no smoking policy within all buildings on site - including the propagation house, polythene tunnels and shade tunnels and throughout the duration of tours. We have various moving vehicles on site, the yard and staff car parking area which are in front of the large barn (our potting shed) is also used by delivery drivers. Our staff are generally very considerate when driving. We reserve the right to remove anyone from the Nursery if their behaviour is considered likely to cause offence or create a nuisance to other visitors or staff .